TOPIC: This is the second (of two) in our series of interviews from the floor of ConGlomeration 2014 in Lousiville, KY.
Les Johnson Homepage – A great place to start, this page focuses on Dr. Johnson’s writing, both fact and fiction. Rescue Mode – Co-written with sci-fi icon Ben Bova, this “gritty and scientifically accurate” book will be on shelves in June, but you can pre-order your copy today! Solar Sails: A Novel Approach to Interplanetary Travel – To get a better idea of the details of our brief discussion about sails, this is a great book. It provides a truly accessible introduction to solar sail technology, and what they will be used for in the near, and distant, future. TEDx Talk – Dr. Johnson also gave a wonderful talk at TEDx in Huntsville, AL back in October. Immediately following that, we’re graced with Adam English and Rand Bellavia from the band “The Surfing Colonel from Apocalypse Now” … no, wait, that’s not right … it’s “Ookla the Mok!” And make sure you spell that with a “K” unless you’re really, really into reggae. Seriously though, this is a fabulous interview covering the gamut from filk to tech-pop rock, what it means that “real” music can now be made without ever touching an instrument, and how you too can use Melodyne to sound just like Jon Bonham – without 2 liters of vodka in you! Plus, we discover that Rand truly is a polymath with a prodigious memory that may, just may (shhh, don’t tell him), outstrip our very own Jay Garmon’s! 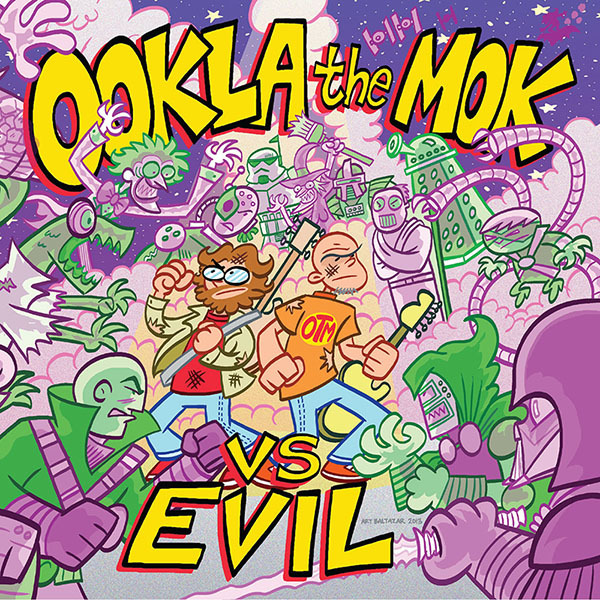 Ookla the Mok Homepage – All Ookla, all the time, your best bet for getting CD’s, finding tour dates, and more. CD Baby Discography – Get all the Ookla you can handle (and then some?) here for sale on CD Baby! Podcast only songs of the week are from Ookla the Mok vs. Evil and include “Mwahaha” and “Doctor Octopus (feat. Venom).” Enjoy!